Visit the Latest News page to read Professor David Lindenmayer’s detailed article published on 30/9/13 in The Conversation. 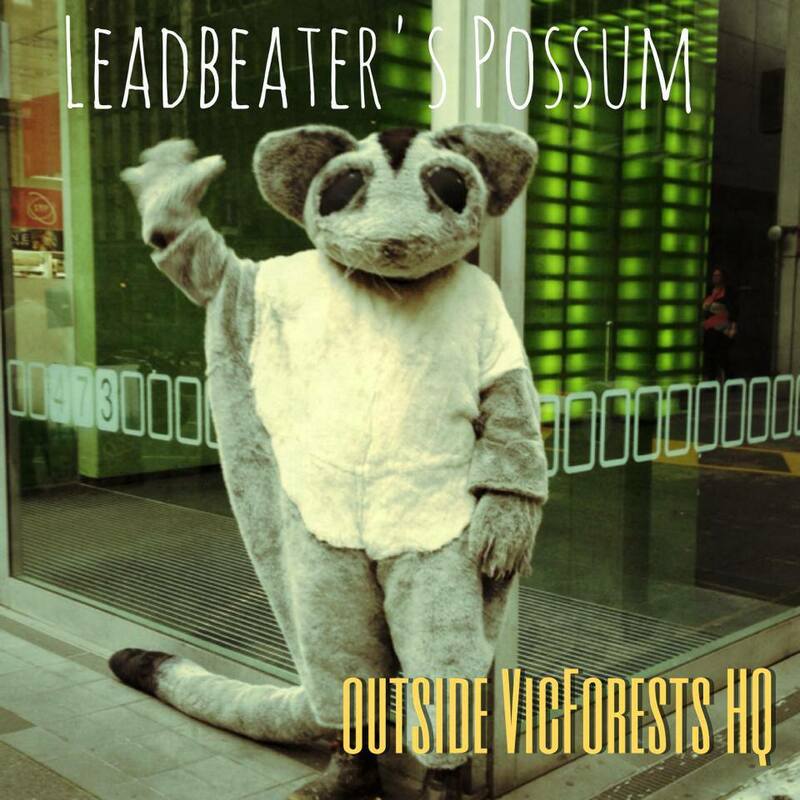 Please show your support for this wonderful initiative to save Leadbeater’s Possum from extinction, by writing to the Andrews State government and the Federal government expressing your support for the proposal. 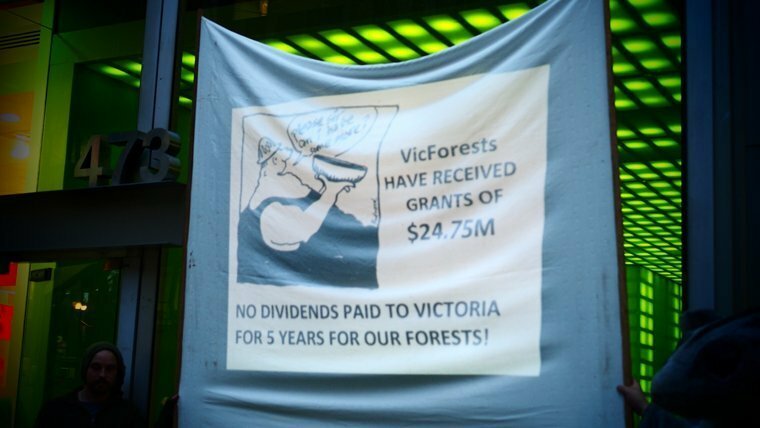 Visit: www.greatforestnationalpark.com.au to learn more about the proposal. Friday is VF Action Day!! 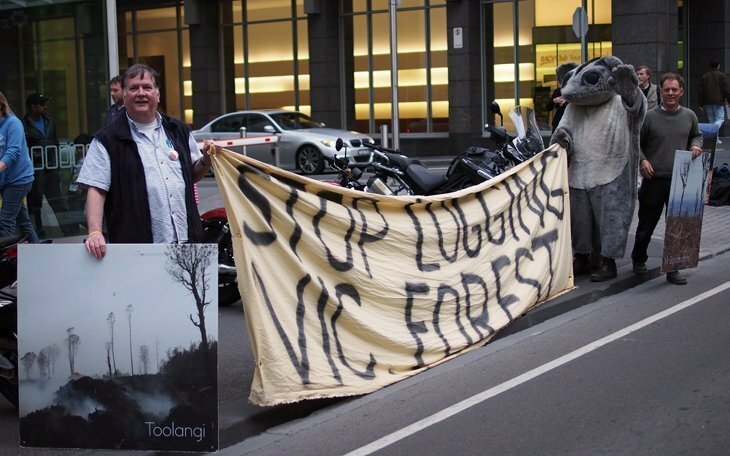 In 2014 FLBP members joined others each Friday afternoon from 12pm – 6pm to peacefully protest the ongoing destruction of Victoria’s native forests (and Leadbeater’s Possum habitat) outside the Melbourne GPO in the Burke Street Mall. Look out for announcements for coming activities in 2015. 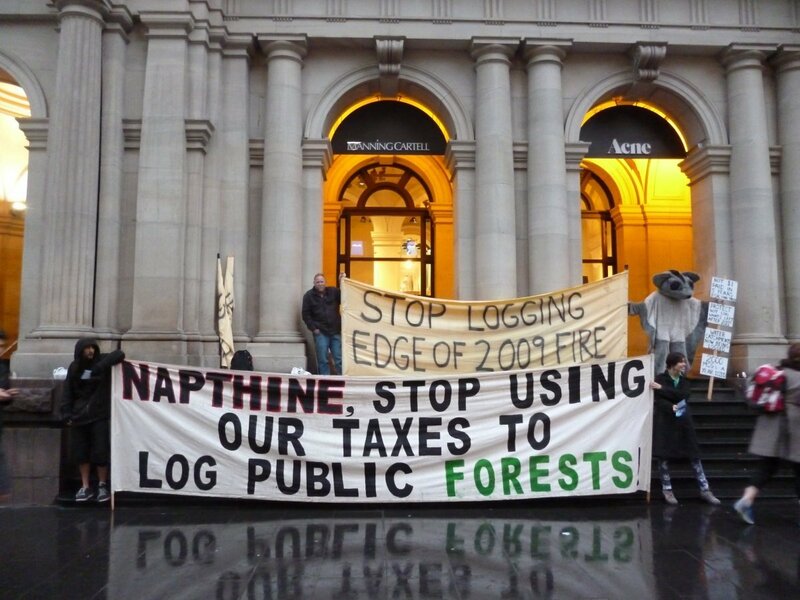 Join us for 30 minutes or as long as you like, and help by handing out information brochures … as country folk inform city folk of what really is happening in their forests!! 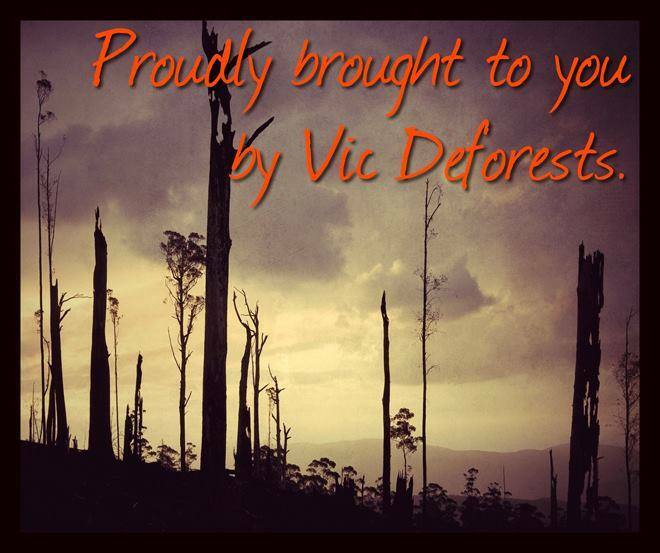 Proudly Brought to You by Vic Deforests! 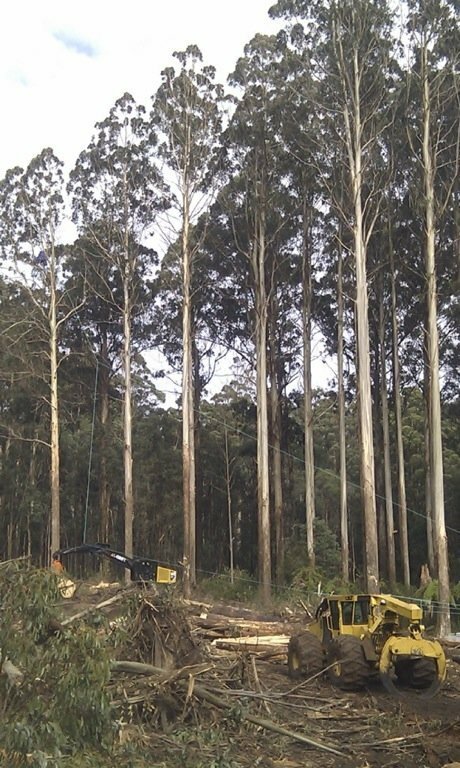 Click on the link above to view the comprehensive forest management prescriptions proposed by ANU researchers including Professor David Lindenmayer AO. We support The Wilderness Society’s Ethical Paper Pledge! This is a fantastic program to help raise awareness about the flow of wood chips from our State Forests into “Reflex” brand paper, made by Australian Paper (which is now Japanese owned). Our group strongly opposes using these forests for paper, instead encouraging our members to first reduce their paper use and then look for 100% post-consumer waste recycled paper brands or paper made from alternative fibre sources like sugarcane waste fibre and wheat pulp paper. 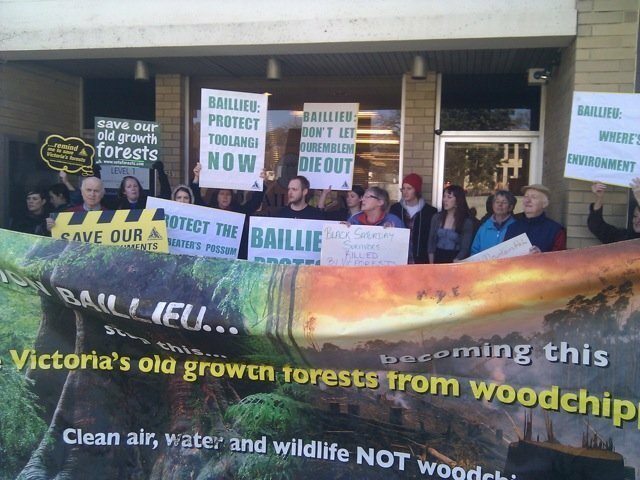 Please sign this petition to show your support for protecting Victoria’s Central Highlands forests which are home to the endangered Leadbeater’s Possum.